Both of Seattle’s monthly magazines, Seattle Magazine and Seattle Metropolitan, have listed Dreamclinic among the best places in the city for massage. 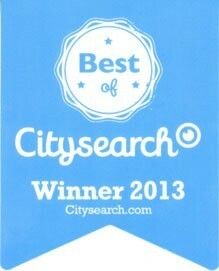 This November Seattle Magazine named Dreamclinic Best Sports Massage in Seattle for 2006. Seattle Magazine bestowed this honor on Dreamclinic at the annual “Party of the Year” charity event, held November 16, 2006, and featured the clinic in their December 2006 issue.